A heavy boat built to run in rough seas alongside the Bertrams. She combines classic style, space, comfort, and performance. 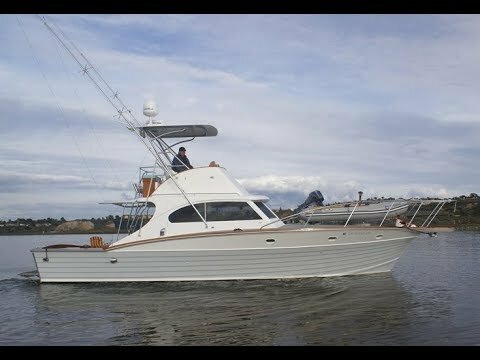 “MAX” has classic great lines, lapstrake mahogany hull and solid deck. The hull is glassed in below the water line. Open teak cockpit with Custom Fighting Chair and Large Sun Pads. You can see your reflection in the varnished woodwork. Stainless steel sink, convection oven, and refrigerator. Bose sound System w and speakers in salon, cockpit, and bridge. A comfortable interior make her an excellent sportfisherman or coastal cruiser. Owner is open to “trade” But for What….? 6 Bridge Stainless Steel "Rocket Launchers"